Nest has just announced a $100 price reduction of the Nest Secure, the company’s home security system. The original retail price was $499, and we rarely saw it drop from that price. It will now sell for $399, and this discount is already available at a few different retailers. You can pick up the kit from Nest directly, Best Buy, and B&H. To sweeten the deal even further, B&H is also offering a free Nest Tag, which is a $25 value. 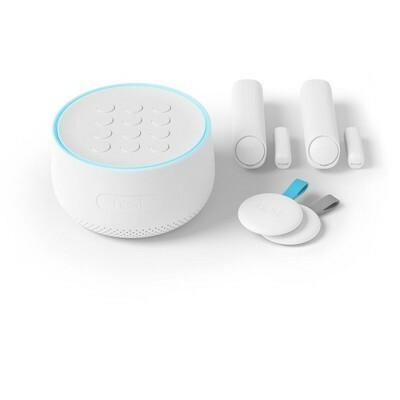 The base Nest Secure package comes with 1 Nest Guard, which is the alarm, keypad, motion sensing brain of the system, two Nest Detects, and two Nest Tags. You can arm and disarm the system from anywhere using the free iOS and Android Nest app, or you can enter a passcode right on the Guard’s keypad. It integrates with other Nest products, like the currently discounted Nest Outdoor cam, the Nest Hello Video Doorbell and more.